Posted October 13th, 2011 by David Porter & filed under Social. 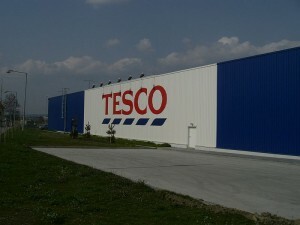 Tesco, described by Richard Hunter at financial advisers Hargreaves Lansdown as ‘the darling of the supermarket sector’, is now Europe’s biggest private sector employer. For those who like numbers to crunch, there are some other impressive stats. They have over half a million staff now across South Korea, China, Thailand and the USA, to go with the nearly 300,000 in the UK. Pretax profits from March-August 2011 topped £1.9 billion. Sainsbury’s slightly outdid them on like-for-like sales, but most pundits think Tescos are better placed in the long term. their online operation now services 750,000 customers. Love them or hate them, you have to admire their business success! BBC News Business. 5 October 2011. Daily Telegraph, 1st March 2011.